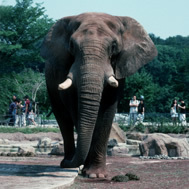 Established in 1882, Ueno Zoo is the oldest zoo in Japan. 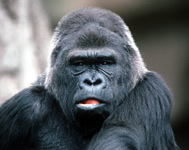 It has grown over the years, expanded its area, and been a forerunner in the Japanese zoo world. Located amid the downtown Tokyo, Ueno Zoo not only provides recreation, but also plays an essential role in wildlife conservation and public education. In an effort to breed endangered species, the zoo has completed the "Gorilla Woods" and "Tiger Forests." At Tama Zoo, animals are displayed under naturalistic and spectacular habitats set up in its vast land of 52 ha (129 acres) in Hino City, one hour from central Tokyo by train. 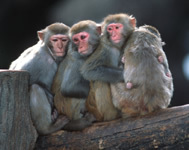 It exhibits Japanese animals such as sika deer, Yezo brown bears, and Japanese macaques, as well as animals from all over the world, such as African elephants, koalas, Indian rhinoceroses and orang-utans. The Lion Bus offers you a ride out among the lions. Please enjoy viewing realistic and dramatic displays of freshwater and marine life not only from Tokyo, but also from around the world, even from the Antarctic. In the huge 2,200-ton tank, you can enjoy watching bluefin tuna darting swiftly around. 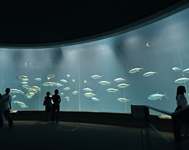 The aquarium also exhibits sea birds including penguins, and giant kelp from California, US. The facility sits on the beach of Tokyo Bay and could be reached in half an hour by train from Tokyo station. Inokashira Park Zoo is located in a quiet and distinctive suburb of Tokyo. It exhibits a variety of Japanese species and contributes to the conservation and breeding of Japanese squirrels, mandarin ducks, and swans. The park also comprises a pond, a botanical garden and Seibo Kitamura (Japanese sculptor) Museum. The park's lush verdure offers a relaxing atmosphere for any visitors.